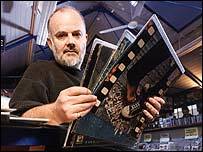 BBC Radio 4 is to drop Home Truths, the Saturday morning programme hosted by John Peel until his death last year. The programme, which explored the experiences and lives of its listeners, built up a dedicated following after its launch in 1998. After Peel's death from a heart attack, guest presenters have fronted the show. Radio 4 controller Mark Damazer said: "John's personality was bound up in Home Truths, and now it's time to look for a different programme." Mr Damazer said a new programme - which would "continue to feature the sometimes extraordinary experiences of its listeners" - would replace Home Truths after it is dropped in the spring. He added: "John Peel's death last year was a terrible shock. We did not want to make a decision in haste so with the support and hard work of the highly-skilled production team and the pool of great presenters, the programme has continued. "I'd like to thank everyone who has worked on the programme since John's death." The programme was born out of a previous Peel-fronted show, Offspring, and helped introduce the veteran DJ, best known for playing ground-breaking music on Radio 1, to a new audience. Features he dealt with included a nine-year-old boy who acted as a carer for his severely epileptic mother, to a woman talking about her enthusiasm for sniffing her pets. Guest presenters since Peel's death have included writer David Stafford, musician Tom Robinson and comedian Linda Smith.